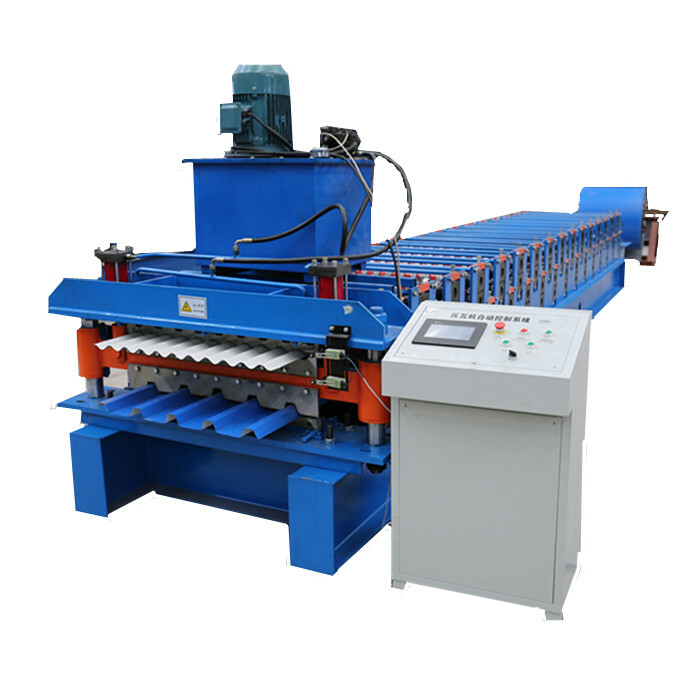 The Crash Barrier Roll Forming Machines have been designed for producing w shaped guardrails with 2 wave and 3 waves or thrie beams placed on both sides of highway or expressway. The crash barrier are used to fix on side of highway to avoid vehicles go off.It is composed of 10tons double head decoiler,material feeder,punching system,main forming part,automatic cutting system.We use geax box driving system,it is more stable than chain driving while use thicker raw material. and extram beam is required to fix guardrail.punching holes are required on that.Common thickness 3-4mm.The driving of guarail forming machine is different. Roller : CR12 with quenching treatment,Shafts of rollers are tooled by grinding machine for two times to ensure the precision of final product. Cutting motion:The main machine automatically stops and the cutting will take place. Looking for ideal Road Barrier Making Machine Manufacturer & supplier ? We have a wide selection at great prices to help you get creative. All the Crash Barrier Making Machine are quality guaranteed. We are China Origin Factory of Highway Crash Barrier Machine. If you have any question, please feel free to contact us.